Dr. Connie Wang completed both her Doctor of Optometry and Bachelor of Science degree at the University of California, Berkeley. She has been in practice for over 30 years. Dr. Wang specializes in contact lens, geriatric, and pediatric optometry. She is certified in Therapeutic Pharmaceutical Agents (TPA) and Refactive Surgery (LASIK) Co-Management. 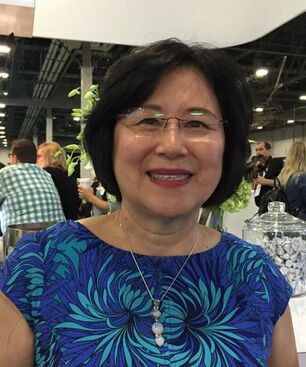 Dr. Wang is currently a member of the American Optometric Association, California Optometric Association, and the Alameda-Contra Costa Counties Optometric Society. Outside of work, Dr. Wang loves classical music, travel, and cooking. She is a mother of three children, two daughters and a son. Dr. Wang enjoys spending her time with her family and friends, entertaining them with the fruits of her cooking and staying active by going on hikes together. She is bilingual and speaks fluent Mandarin. Yong Chen is our office manager and head optician. He manages the optical portion of our office. He has a PhD in Chemistry from the University of California at Berkeley. And he is very skilled with repairs, adjustments, and dispensing of eyeglasses. In his spare time, he enjoys playing golf, gardening, and watching sporting events. Christian Vazquez is our optical technician. He joined East Bay Optometry in August of 2016 after graduating with a B.S. in biology from the University of California, Berkeley as a premed student. Christian is responsible for auto-refracting and testing eye pressure for glaucoma. He also performs retinal imaging and visual field tests as part of a comprehensive eye exam. Once the examination is complete, Christian helps our patients pick out the perfect eye wear for their face shape and prescription needs. Christian also trains new contact lens patients on how to handle their lenses. When you pick up your glasses, rest assured he will make sure your eye wear fits properly and provides optimal comfort and visual acuity. If your glasses are in need of a repair or adjustment, he will have you fixed up in no time. For our Spanish-speaking patients, Christian is bilingual and fluent in the language. When he is not in the office, he enjoys riding his bike, listening to music, and playing with his cat, Mac. 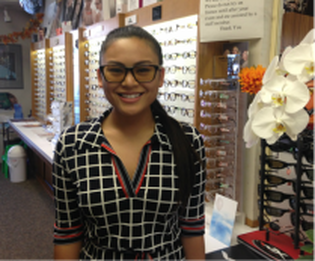 Angelica Estrella is our optometric administrator/frame specialist. She graduated from Saint Mary's College in 2014 with a Bachelor of Science degree in Biochemistry and a minor in Performing Arts/Music. She has volunteered in many clinical and educational settings as an undergraduate. She is currently a second year student attending optometry school at the University of California, Berkeley to become an optometrist. Angelica enjoys assisting patients with pre-testing, frame selection, and dispensing eyeglasses. She also adjusts and repairs eyeglasses. In her spare time, she enjoys running and playing the clarinet. Dhara Patel is our optometric assistant. She recently graduated from California Polytechnic State University San Luis Obispo with a Bachelor’s of Science in Biological Sciences with a concentration in Anatomy and Physiology. Dhara assists patients throughout their visit by performing pre-tests such as glaucoma testing, retinal image scans and visual field testing. Once done with your exam she can help you choose a frame that fits you perfectly and gives you the best optics! Upon delivering your glasses, Dhara will help adjust the glasses so they are comfortable and functional. In addition, Dhara would love to help with any repair/ adjustments that you may need. Dhara hopes to pursue a career in Optometry in the future. In her free time, she loves dancing to hip hop/ Bollywood music, hiking scenic trails, and trying all the yummy desserts in the bay area. Nazifa Fazli is one of our receptionists for the office. She recently graduated from University of California, Irvine in 2017 with a Bachelor of Science degree in Public Health. 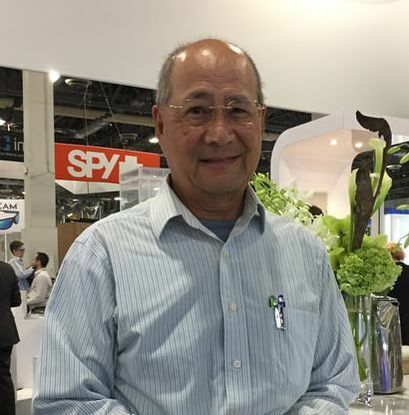 Zifa is responsible for answering any questions you might have regarding your appointment and pre-testing the patients when they come in for their comprehensive eye exam. She is also more than happy to help with any adjustments and repairs on your eyeglasses whenever it is needed! Zifa is interested in the field of Optometry and hopes to become an Optometrist in the future. In her free time she enjoys hanging out with friends and family, reading a book after a busy day and cooking a variety of delicious oriental food.